Happy 4th! 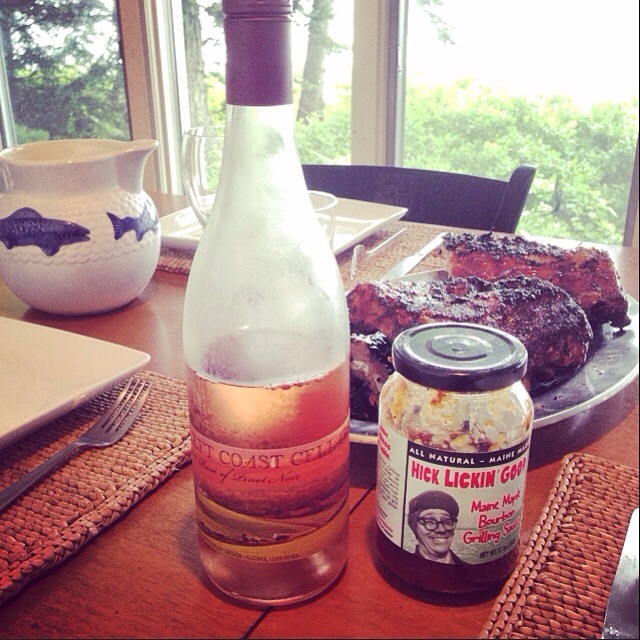 Rosé and ribs are an awesome combo. Basically rosé is awesome for anything spicy, and this Left Coast Cellars Pinot Noir one is Willamette Valley goodness. Tags: 4th of july, food & drink, ribs, Rose, wine. Bookmark the permalink. Tomorrow, fish and achiote paste in banana leaves. Sunday it is baby backs. What do you recommend for the fish, besides beer? Not super familiar with achiote paste, but if it’s spicy rosé or an off dry Riesling would be great. If not, Sauvignon Blanc is always a safe bet with fish.